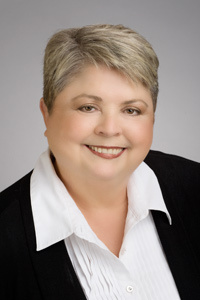 Pat Criscito is the president and founder of ProType/ProWrite, Ltd., an international writing, editing, typesetting, and personal branding service established in 1980 and based in North Carolina. She is the author of Barron’s e-Résumés (selected as one of the ten best career books of 1997 by The Los Angeles Times), Résumés that Pop! Designs that Reflect Your Personal Brand (titled Designing the Perfect Résumé in previous four editions), How to Write Better Résumés and Cover Letters, and Barron’s Guide to Distance Learning (all in their second, third, or fourth editions). Her most recent Barron’s book is Interview Answers in a Flash. Pat is also a guest journalist for magazines and newspapers nationwide and writes special career articles for The Wall Street Journal and The Boston Globe. She has written more than 16,000 résumés and speaks nationally on career and entrepreneurial subjects, making regular television, radio, bookstore, university, and speaking appearances across the United States (including Harvard, Yale, Tulane, SMU, Thunderbird, Columbia, Wharton, Colorado College, and others). Pat has written more than 16,000 résumés and speaks nationally on career and entrepreneurial subjects, making regular television, radio, bookstore, university, and speaking appearances across the United States (including Harvard, Yale, Tulane, SMU, Thunderbird, Columbia, Wharton, Colorado College, and others). Pat is a Certified Professional Résumé Writer (CPRW) with more than 35 years of experience. She is listed in the Who’s Who Registry of Global Business Leaders and was selected as the 1997 Pikes Peak Woman Business Owner of the Year. Today, ProType/ProWrite has high-tech headquarters in North Carolina and more than 1,500 clients in 42 countries. In addition to editing and typesetting books for authors around the world, ProType offers services that include consulting with job seekers on the development of their personal brands, writing resumes and other career documents for individuals, authoring website content, developing electronic portfolios (e-folios) for executives, consultants, and job seekers, as well as providing corporate overflow assistance and complete business support for local small businesses. For two years, ProType managed the initial keying and SGML tagging of the law books (10,000 pages per month) for Shepard’s McGraw-Hill, transferring the work from Chicago to the local Colorado Springs market with 43 employees. Besides a Ph.D. from the School of Hard Knocks (just kidding! ), Pat holds a Bachelor of Business Management degree and completed part of her MBA. After living in Europe for four years and studying Spanish for five years, she continued her studies of the German language at the University of Colorado just for fun. Pat is a member of the National Resume Writers Association (NRWA) and serves on their Board of Directors. She was also a member of the board of trustees of the Better Business Bureau Foundation for seven years and a board member for the National Association of Women Business Owners for two years. Pat was the co-founder and board member of the Young Entrepreneurs Association for seven years, a unique entrepreneurial training and mentoring program for at-risk girls. Pat is currently the President and CEO of Desert Harvest and runs Felicity Farms with 260 acres of organic vegetables, fruit, and animals in North Carolina. In her spare time, she enjoys reading, gardening, gourmet cooking, decorating, music, singing, her two wonderful grandsons, and her Welsh Corgi dog.